Former Philadelphia abortion doctor Kermit Gosnell was convicted of first-degree murder in the deaths of three babies authorities said were born alive before having their necks cut with scissors. 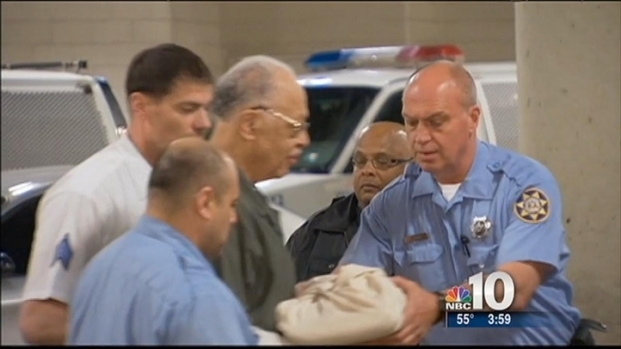 A jury found Gosnell not guilty of first-degree murder in a fourth baby’s death. In addition to the murder charges, the 72-year-old was found guilty Monday of involuntary manslaughter in the overdose death of former patient Karnamaya Mongar. Gosnell was also found guilty of several other crimes including one count of infanticide, two counts of conspiracy, 21 of 24 counts of abortion of an unborn child of 24 weeks or more and 208 of 227 counts of violation of informed consent of an abortion. In all, Gosnell was found guilty of 237 crimes. He will now face the death penalty in the sentencing phase, which will begin a week from Tuesday. Monday, a jury found abortion doctor Kermit Gosnell guilty of killing 3 babies who were born alive. He was also found guilty of involuntary manslaughter in the overdose death of an adult patient. So what's next for Dr. Gosnell? NBC10's LuAnn Cahn says he will face a jury next week, to determine his sentence. "Obviously, the jury has spoken," said Jack McMahon, Gosnell's attorney, following the proceedings. "As I said to the jury as I closed to them, whatever verdict they gave I would respect and would be the right verdict." McMahon said he did not regret not putting Gosnell on the stand during the proceedings and says he hadn't decided whether Gosnell will take the stand during the penalty phase. He also commended the prosecution. The veteran attorney not able to say much more as a gag order remains in place until the penalty phase is completed. 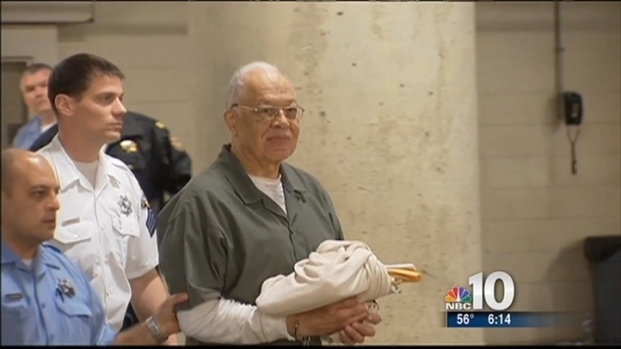 Dr. Kermit Gosnell was found guilty of three counts of first degree murder as well as involuntary manslaughter. But what's next for Gosnell? NBC10's Lu Ann Cahn tells that side of the story. According to court observers, as the verdict was read by the jury foreman, Gosnell didn't react at first. However, once the full charges had been announced, he shook his head from side-to-side, trying to make eye contact with members of the jury. Assistant District Attorney Joanne Pescatore cried as she hugged a member of the Philadelphia Police Crime Scene Unit following the verdict. She and fellow ADA Ed Cameron did not speak as they left the Philadelphia Criminal Justice Center in Center City Philadelphia. The jury of seven women and five men weighed a total of 263 crimes against Gosnell with the most serious being four counts of first-degree murder. Dr. Kermit Gosnell has been found guilty of first-degree murder in the deaths of three babies authorities say were born alive before having their necks cut with scissors. NBC10's Daralene Jones has the latest on the guilty verdict. The courtroom was locked down and reporters told to turn off all electronic devices when the jury foreman, juror number 5, read the verdict aloud. Earlier in the day, the jury had told the court they were deadlocked on two counts. It is unclear on which charges the jury was deadlocked, however the group told the court it had reached a consensus on all other counts. At approximately 10 a.m. Monday, the jury passed a note to Common Pleas Judge Jeffrey P. Minehart explaining their situation. The admission came on the 10th day of deliberations. By law, according to attorneys for both sides, Judge Minehart was required to re-instruct the jury to deliberate on the two charges a second time and attempt to reach a verdict. Judge Minehart brought the jury into the courtroom on the third-floor of the Philadelphia Criminal Justice Center around 11:15 a.m.
Over a five minute meeting, he reminded the jury they must be unanimous on all counts and asked the group to return to the jury room and discuss the charges further. The group was grim-faced as they were led from the court. Judge Minehart called the jury sincere, considerate and serious. The judge also said he wanted to make sure the group was not confused over the charges. Gosnell, a resident of West Philadelphia, was charged on January 14, 2011 with 263 crimes, including first-degree murder in the deaths of four babies. Prosecutors allege Gosnell delivered the babies alive during abortion procedures and then killed them by snipping their spinal cords with scissors. Gosnell was also charged with third-degree murder in the of former patient Karnamaya Mongar. Mongar, 41, died after she was given a lethal dose of pain killers and anesthesia during a 2009 abortion procedure at Gosnell's West Philadelphia clinic, the Women's Medical Society. The former doctor's defense attorney has argued Gosnell would inject a drug into his patients' uterus to stop the fetuses' hearts before they were delivered. The majority of the 263 charges levied against Gosnell are related to alleged Pennsylvania abortion-law violations. Prosecutors say Gosnell regularly performed late-term abortions on babies older than 24 weeks -- the cutoff age in Pennsylvania. The jury also ruled in the case of Gosnell's co-defendant Eileen O'Neill -- finding her guilty of conspiracy, conspiracy to commit corrupt organization and two counts of theft by deception. She was found not guilty of five additional counts. Prosecutors said O'Neill deceived patients and insurance companies by pretending to be a licensed physician and billing for those services. Her defense said while O'Neill was not licensed, she did have a medical degree and would always have Gosnell sign off on her recommendations and prescriptions. O'Neill's attorney also said there is no evidence of the 56-year-old charging for her services. O'Neill covered her face as she left court. As reporters peppered her with questions, O'Neill only said she was under the gag order. She is currently on house arrest. The alleged crimes came to light on February 10, 2010 after investigators from the Federal Bureau of Investigation and Drug Enforcement Agency raided the inner-city clinic at 3801 Lancaster Avenue following a tip that a prescription pill mill was operating inside. Agents were met, not with an illegal narcotics drug operation, but rather, unsanitary conditions. Investigators testified they found blood-stained rooms, filthy and old equipment and untrained staff. Aborted fetuses were stored in a basement freezer in plastic food containers and bags next to employee lunches. Severed feet from aborted babies were found preserved in jars around the clinic. Over the course of the trial which started on March 18 and lasted two months, former clinic employees testified against Gosnell. Adrienne Moton was first to testify. Moton, 35, recalled several abortion procedures in court including one where the mother delivered the baby into a toilet. The 35-year-old described how the baby seemed to struggle in the bowl before she snipped its neck with scissors. She admitted to cutting 10 babies' necks, calling the snipping "common practice" at the clinic. Moton also took a picture of one of the babies Gosnell is accused of murdering. Referred in court as Baby A, Moton says the boy was nearly 30 weeks old when he was aborted. 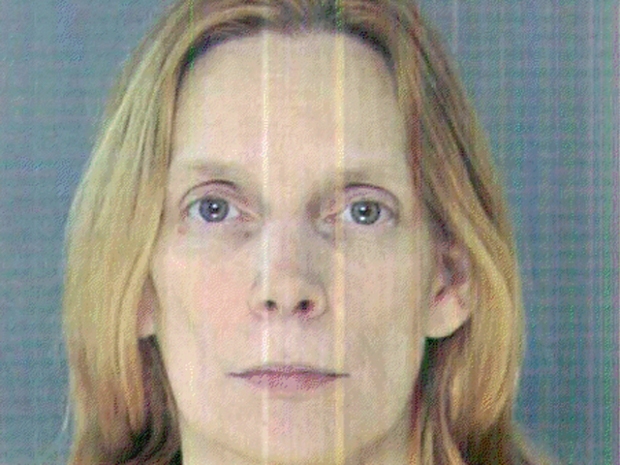 She claims Gosnell even joked about the baby’s size saying he was so big the baby could have walked to the bus stop. The graphic photo, was among others, shown to the jury. Lynda Williams testified how she would administer pain killers and anesthesia acting as the clinic's anesthesiologist. The 44-year-old had no formal training and only an 8th grade education. Williams was the person who delivered four doses of drugs to Mongar during her procedure. She described how the woman's skin turned gray and her breathing slowed following the last dose. She also admitted to snipping the neck of one of the babies Gosnell is charged with murdering, referred to in court as Baby C.
Both women pled guilty to third-degree murder in exchange for their testimony against Gosnell. They face 60-120 years in prison. Other workers described babies being born alive, watching them breath and seeing their limbs move before being "snipped." Some described the babies as "aliens" who made odd noises, others said it would "rain fetuses" in the clinic. Kareema Cross was last to testify. The 28-year-old used a fake name when she alerted the DEA to conditions inside the Women's Medical Society. She took a series of photos of her working environment, eventually turning them over to authorities. Several medical experts also took the stand during the trial. Among them, Philadelphia's Chief Medical Examiner Dr. Sam Gulino. Dr. Gulino testified he examined 47 fetuses and while three had the possibility of viability, he could not say for certain if any were born alive. Prosecutors Joanne Pescatore and Ed Cameron spent five weeks presenting their case calling 36 witnesses. In contrast, Gosnell's attorney Jack McMahon only spent one day and called none. McMahon did not call any witnesses when it was time for the defense. The bullish attorney instead stood up and rested his case. He did, however, spend hours reliving testimony in the trial during his closing arguments -- trying to use the prosecution's case to create doubt. The 60-year-old attorney maintained babies were never delivered alive. He says Gosnell would inject the drug Digoxin into the womb to stop the fetus' heart. Labor would then be induced and the dead baby delivered, he said. McMahon was previously successful in getting Common Pleas Judge Jeffrey P. Minehart to throw out several charges, including three counts of first-degree murder for a lack of evidence. Both sides painted very different pictures of the former doctor. The prosecution claimed Gosnell took advantage of poor, vulnerable, desperate women all while making millions. They claimed he also preyed on his staff. During her opening arguments on March 18, Pescatore told jurors that for Gosnell, his abortion practice was all about the money. "He had high volume and maximum profit," she said. Police found $250,000 in cash during a 2010 search of his home. Prosecutors claimed Gosnell would upcharge for pain killers and let the patients choose the amount of anesthesia they wanted. They were broken down into four categories -- local, heavy, twilight and custom. Pescatore also said Gosnell would treat patients differently based on their race. White women would be taken to cleaner exam rooms and be treated directly by Gosnell. Black women would get dirty rooms and unlicensed workers, they alleged. McMahon angrily discounted the claims calling the prosecution "elitist" and "racist" adding the case had become "a prosecutorial lynching." He said Gosnell was a family man who gave up lucrative opportunities at medical centers across the country to serve the depressed West Philadelphia community. Gosnell operated his three-story clinic for more than 31 years. McMahon says Gosnell treated thousands of patients and performed thousands of abortions inside the clinic over the years. The jury consisted of seven women and five men. Most of the jurors are blue collar workers with four working for public transit agency SEPTA. All said they were either pro-choice or had no opinion on a woman's right to choose. The group were subjected to graphic images and testimony over the course of the trial. Some visibly flinched at the evidence, while others teared up. They also got a glimpse at some of the equipment used inside the clinic. Pescatore said she wanted to take the jury to the clinic, but was unable. So she had an exam table, ultrasound machine and other equipment placed in the middle of the third-floor courtroom at the Philadelphia Criminal Justice Center. The equipment sat there for nearly the entire trial, just feet from the jury box. The case sparked national attention with national media outlets, cable news channels and conservative bloggers descending on Philadelphia to cover the trial. President Barack Obama said he was aware of the trial and pro-life bloggers claimed there was a lack of media coverage in the case. A claim outlets, including NBC10.com, rebuked. The case also brought light to deficiencies in state oversight. The Pennsylvania Department of Health admitted the clinic went nearly two decades without being inspected. Legislators later passed a law to require more stringent rules for abortion clinics in the Commonwealth. NBC10's Yoni Greenbaum, Emad Khalil, Daralene Jones, Doug Shimell and Lu Ann Cahn contributed to this report.